[miningmx.com] – AFRICAN Rainbow Minerals (ARM) chairman, Patrice Motsepe, has held “heart to heart’ discussions in Lusaka with Zambian government officials concerning the Lubambe Copper mine which is losing money and will be badly hit by Zambia’s new tax regime which applies a 20% royalty to revenues. Motsepe told investors at the ARM interim results presentation on Monday that “… this is not the time to slap on increased royalties. These are times when we should work together. “When things are good and we make good money as an industry we are prepared to review those royalties. 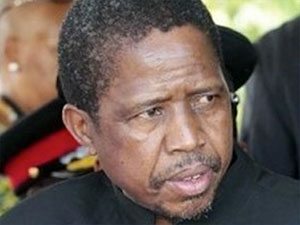 The situation is Zambia is somewhat occluded, however, by the fact its newly elected president, Edgar Lungu was recently taken ill only weeks after succeeding the late Michael Sata. “The sudden illness of yet another Zambian head of state – coming as it does on the back of market uncertainties, mining debates and potential upheavals at the central bank while the currency slides – is bound to create jitters and cause some concern,’ Gary van Staden, a political analyst at NKC Independent Economists, said in an e-mailed note to clients cited by Bloomberg News recently. Lubambe is the former Konkola North copper project and it is owned 80% by the Vale/ARM joint venture, and 20% by state-owned Zambia Consolidated Copper Mines (ZCCM). The mine has an estimated life of 28 years employing some 1,500 workers. The cost of developing the mine is some $400m and Lubambe is expected to produce 45,000 tonnes annually of copper in concentrate. Full production was expected to be achieved this year but could now be pushed back to 2017/18 because of a slower-than-planned ramp up. ARM CEO, Mike Schmidt, said this was due to “bad ground conditions and the undulating, variable reef width and reef dips which has resulted in grade dilution. “Changes to the mining plan are being considered to improve profitability, reduce capital requirements and optimise cash flow,’ he said. Schmidt added: “There’s no reason to believe we will not turn the situation around but this will take a year and currently it’s a bleed situation. We are burning working capital.